March 4, 2013 | Posted in Interactive and tagged CIID, ServiceDesign. Electric car Co-Leasing for the city commuter. A service-design project at CIID. Together with Andrew Spitz & Manas Karambelkar. 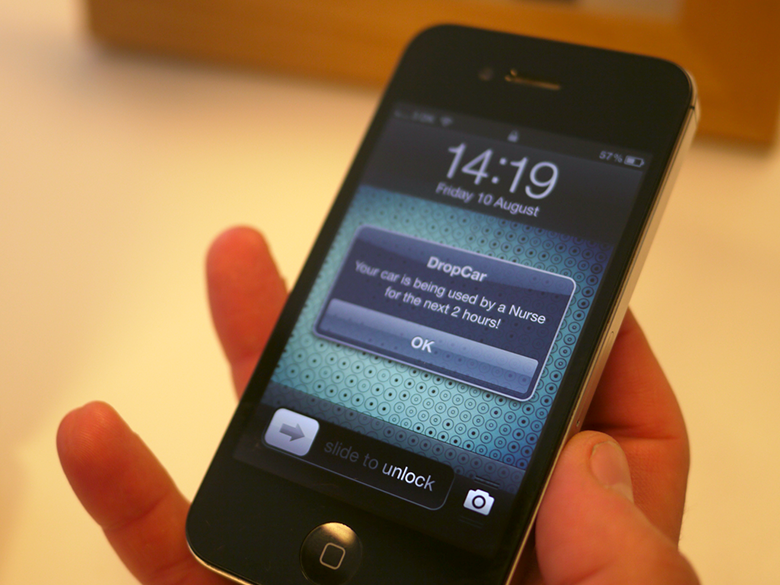 In partnership with Volvo, we were tasked to design a service and experience prototype around cars. The world has shifted from being a majority rural to a majority urban. With this, cities are getting denser and very expensive to live in. Therefore, much of a city’s workforce is living in suburbs. 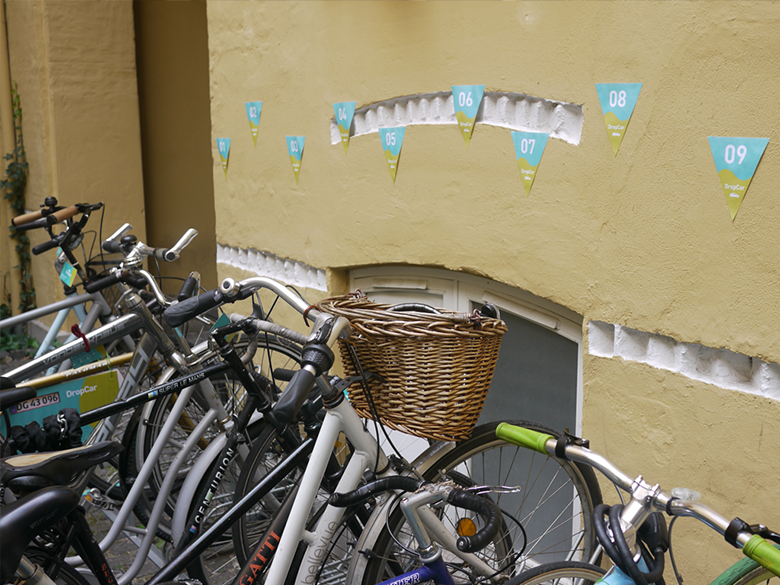 These people commute to work in cities every day from long distances and Copenhagen is no exception to this. This creates congested city centers and higher pollution levels. The cars remain idle during work hours and are not used to their fullest capacity – taking up space. 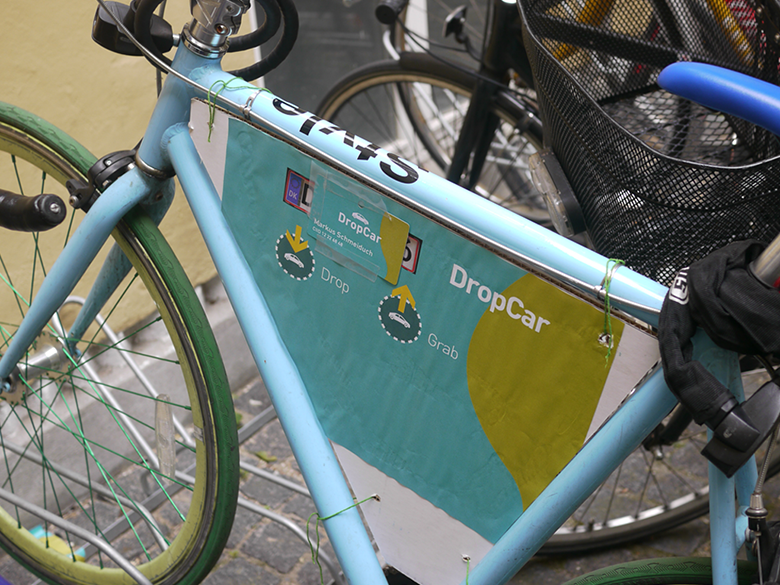 How can we free the city centers of cars and lighten the pollution levels by using the downtime of cars? 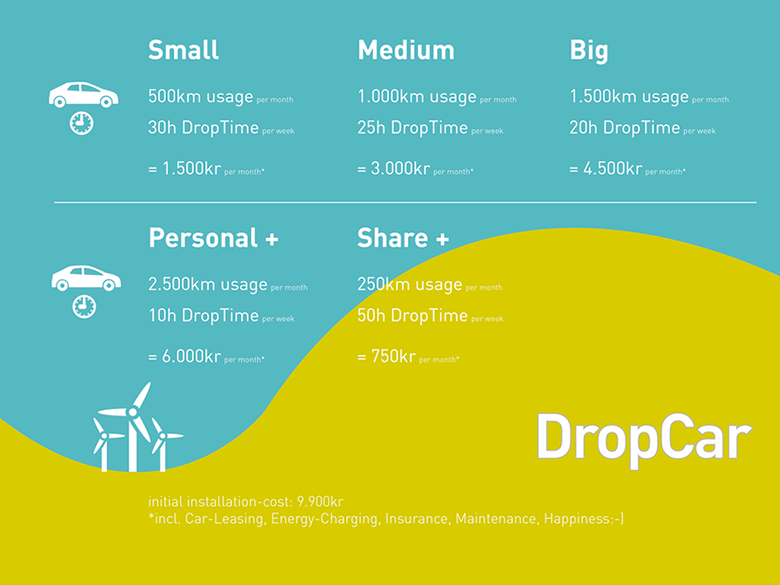 DropCar offers a solution for people living outside Copenhagen to own a car on an affordable lease and share it with the public services while they are at work. Workers use the Park & Ride system, where they leave they car at a DropCar free parking at the train station, and take the train into the city. While they are at work, the public services have access to the car. With this shared system, the amount of cars needed in the pooling system of the public system is brought down to the bare minimum and less cars need to be produced and serviced. - Promoting the switch to electric cars and the usage of Park & Ride systems. - Embracing co-operation between People & Government. - Offering a networked service for the rural areas. - Minimize the amount of cars on our little planet by maximizing their use during downtime. 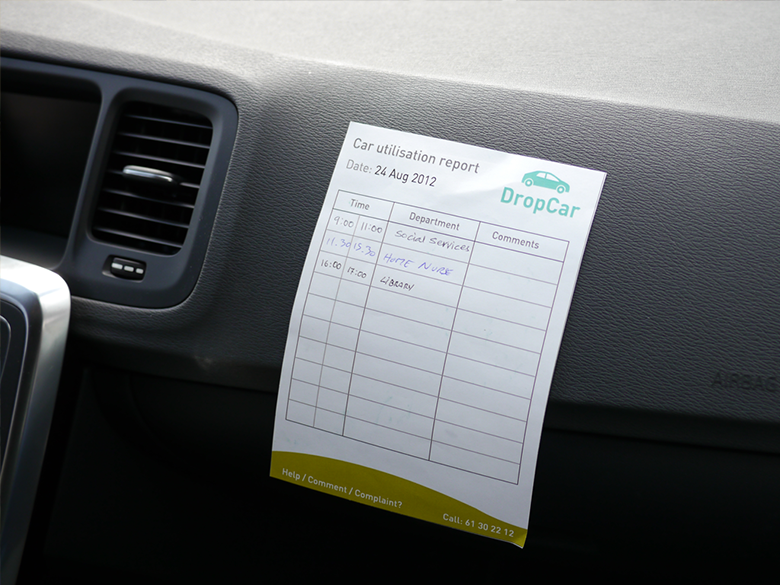 By using DropCar, you make it cheaper and easier for the municipality to do their job, so it makes sense that the users receive benefits. - No huge initial investment to own a car. - No need to worry about insurance and maintenance. - No extra fuel costs. 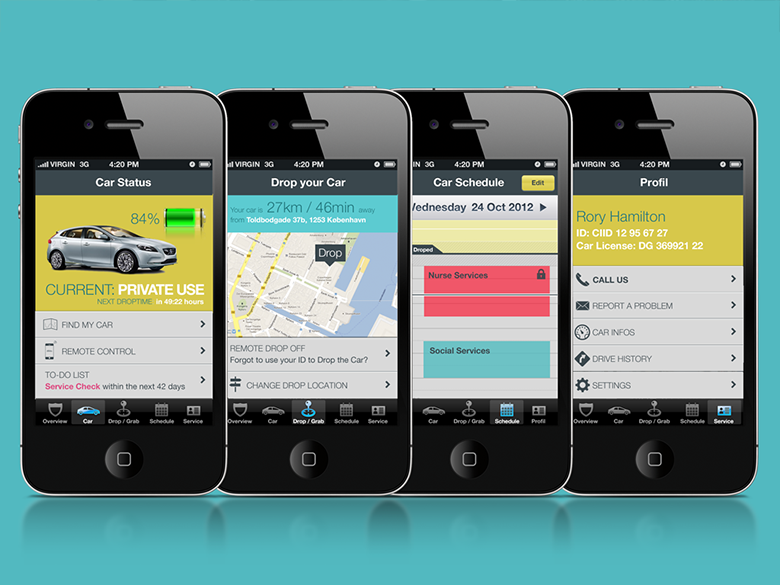 - Complete ownership of the car during your time. - Free parking and train rides to workplace. - No huge initial investment for developing and maintaining a fleet of cars. - Build a rapport with the people of your municipality. We went through several iterations of the concept through experience prototyping of various touchpoints of the service. 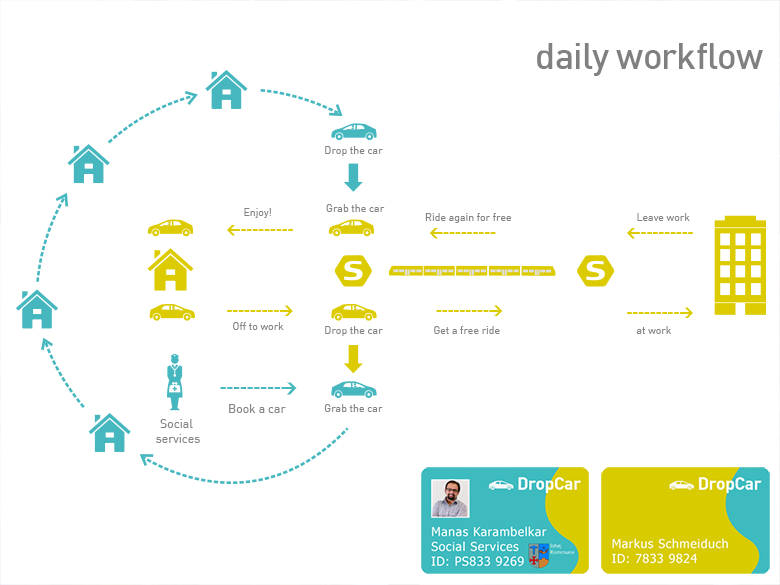 Our first experiment was to simulated the experience of having one’s car used by someone else during work hours by having others use it during the day. 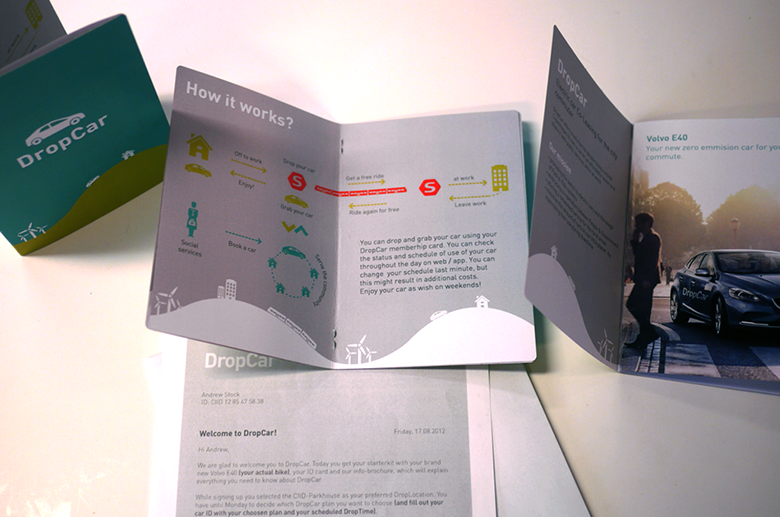 We simulated the whole welcome pack and signup process. 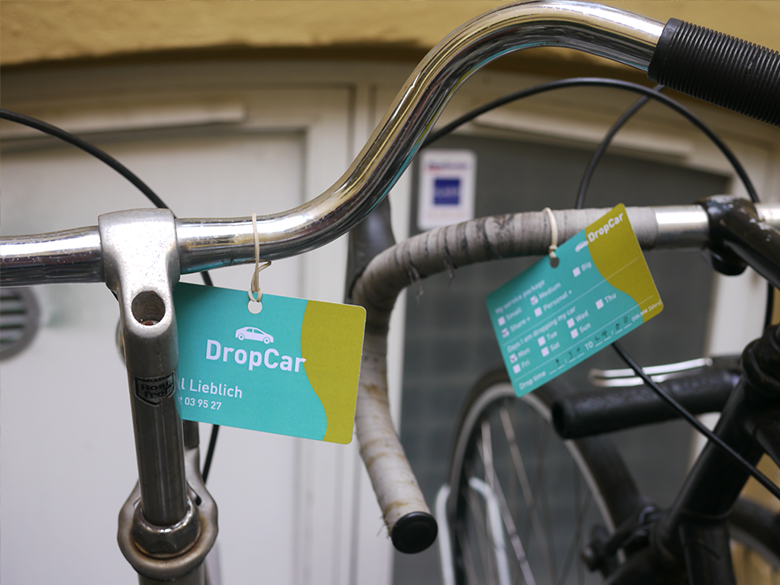 As a first prototype, we used bicycles instead of cars. We ran a simulation of the whole service by renting a car, picking a worker up, have him drop himself at work then we brought the car to a public servant for him to use the car to do his job during the day. We also sent push notifications to each party to test the communication. ← OmniOn. Making audio easy in the kitchen.